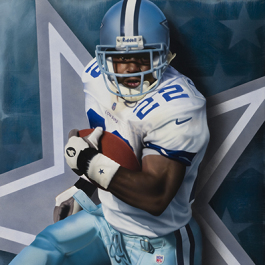 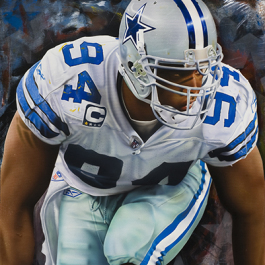 Sack Leaders had to be the first NFL painting commissioned for this collection of NFL art. 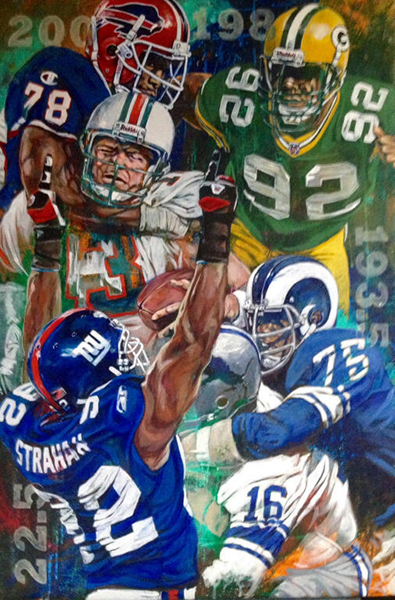 This painting is a tribute to the real all-time sack leaders in the NFL; #75, Deacon Jones from the Los Angeles Rams (now the St. Louis Rams); #92, Michael Strahan from the New Your Giants; #78, Bruce Smith from the Buffalo Bills; and #92, Reggie White from the Green Bay Packers. 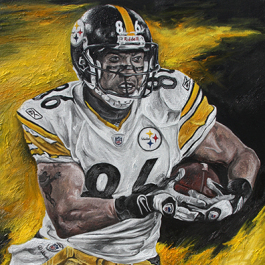 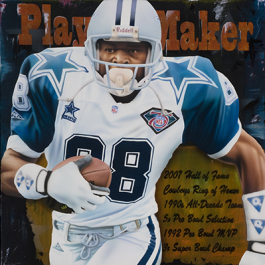 All of these defensive ends are members of the Pro Football Hall of Fame and this NFL painting belongs in every man cave and in the home of every NFL fan and NFL art collector’s favorite piece of NFL memorabilia.